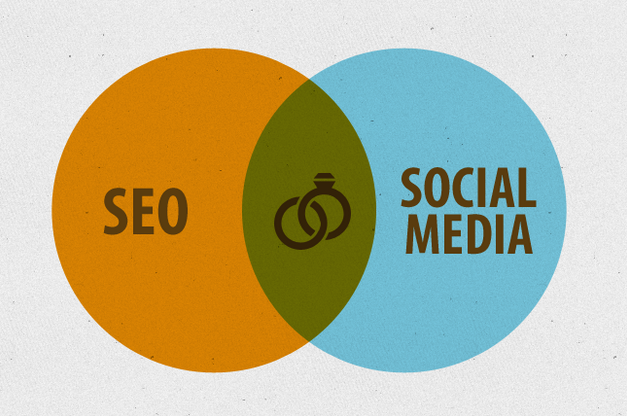 Social media is inevitably a part of SEO. Search engines take a number of social factors into account when ranking your pages including social shares and likes, keywords (not just in posts but also in page names and profile descriptions), traffic, and interactions. For this reason, it is important to utilize social media in your inbound marketing strategy. Here are a few ideas that you can quickly and easily put into action. The best way to increase your shares is to create interesting, useful, high-quality content — something you should already be doing in your content marketing efforts. Make sure it is easy for users to share content over a variety of social media sites by adding social share buttons to every one of your posts. Google and other search engines are now indexing social media pages, meaning your profiles may appear in search results. If you want to gain high rankings, you need to optimize these pages just as you would your content. Use your keyword research to incorporate phrases people use to search for your business into descriptions and information about your company. Google+ is one of the most important social sites for SEO as Google often gives these profiles higher rankings than other social pages. Spend a few minutes every day sharing your content through Google+ and make sure you always link back to your website, blog, or another social channel. Just as you use outbound links to optimize your website or blog, you can share others’ content on social media. This will increase the activity on your profile and help create the impression that your company is a reliable source of information. Create a strategy for answering users who comment on your profile or posts. This is a great way to start a conversation and sometimes even enable a post to turn viral, no matter whether the original remark was positive or negative. The more areas of SEO your business covers, the more qualified traffic you will drive to your site. Social media is an important aspect of SEO, and it is essential to utilize all this option has to offer if you want to see success for your business now and in the future.